The Lindy hop craze was started in Harlem, New York City, USA in 1928. At that time Jazz was king and many still think it still rules. During the 1930s and 1940s Jazz an the Swing era ruled. The Lindy took many dances that were popular at different times and put them all together. Dances from jazz era, tap, breakaway and Charleston. During the 1980s the dance came back in style for a moment. Dancers in America, Sweden and Britain found interest in the Lindy hop. Today, some groups from North America, South America, Europe, Asia and Oceania still do the dance. Sally Ride was the first American woman astronaut to go into space. Dr. Ride was a mission specialist aboard the space shuttle "Challenger". The Challenger was launched from Kennedy Space Center, Florida on June 18, 1983. However, she was not the first woman in space as this had been accomplished twice by the USSR. 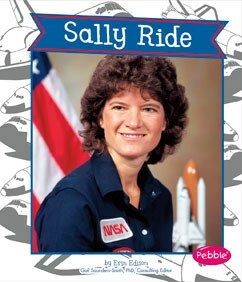 Sally Ride was born on May 26, 1951 in Los Angeles California.She had one sister. Rides family was religious at core with her sister becoming a minister and her family working at counseling etc.. Ride was naturally interested in science as well as sports. She was a nationally ranked tennis player. Sally would earn bachelors degree and answer an ad in the Stanford Student Newspaper seeking those interested in the space program. Out of 8000 individuals she was chosen to join NASA in 1978 Ride would serve as the ground based capsule communicator for the space shuttle flights. She would also help develop the space shuttle's "Canadarm" robot arm. Because she was female she would draw lots of media attention. She did not allow the media stress to affect her as she looked at herself simply as an astronaut. June 18, 1983 she would become the first American woman in space as a crew member on space shuttle Challenger. She would be the youngest American to enter space at the age of 32. Sally Ride was the first woman to use the robot arm in space as she retrieved a satellite. In 1984 Sally Ride would once again go back to space on the Challenger. All total Ride would have 343 hours in space. When the Challenger disaster happened Sally Ride headed a subcommittee on operations. She was assigned to NASA headquarters in Washington D.C. In 1987 Ride would leave her position in Washington D.C. Roll out one of your pie crusts with a bit of GF flour and a rolling pen. With a knife, cut out your stars and stripes. Set aside. In a large mixing bowl, combine the cherries, sugar, corn starch, lemon juice, vanilla and almond extracts, and moonshine together. Place this mixture over top of the second pie crust. Place the diced butter sporadically over the top of the pie. Then place your stars and stripes on top of the butter. With a basting brush or your fingers, gently coat the top of your stars and stripe with the milk and then sprinkle with sugar. Place the pie on a baking sheet to help support the pie and then place the entire setup in the fridge for 20 minutes. Bake for 15 minutes on the middle rack and then decrease the temperature to 350*F and bake for another 30-40 minutes, or until your gluten-free crust is golden brown***. Serve warm and with your fav vanilla ice cream and as always, enjoy it messy! Make and bake the cupcakes according to boxed cake instructions. Let cool completely. Beat heavy cream in small bowl until soft peak forms. Slowly add marshmallow creme. Beat until stiff peaks form. 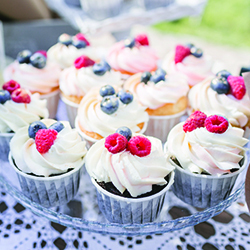 Frost or pipe whipped cream mixture onto cooled cupcakes. Top frosting with fresh strawberries and blueberries. Store in fridge until ready to serve. As a grade schooler when others were playing hot wheels or baby dolls I was playing star wars and fighting for the role of Princess Leah Oh those wonderful memories that come from childhood.I recall watching Star Wars movie at the local drive in theater. That was an occasion to remember as we did not go to movies often and this was something that every kid wanted to do. So what exactly was the fascination all about. America went crazy over Star Wars. The movie was centered on a film series that was created by George Lucas. 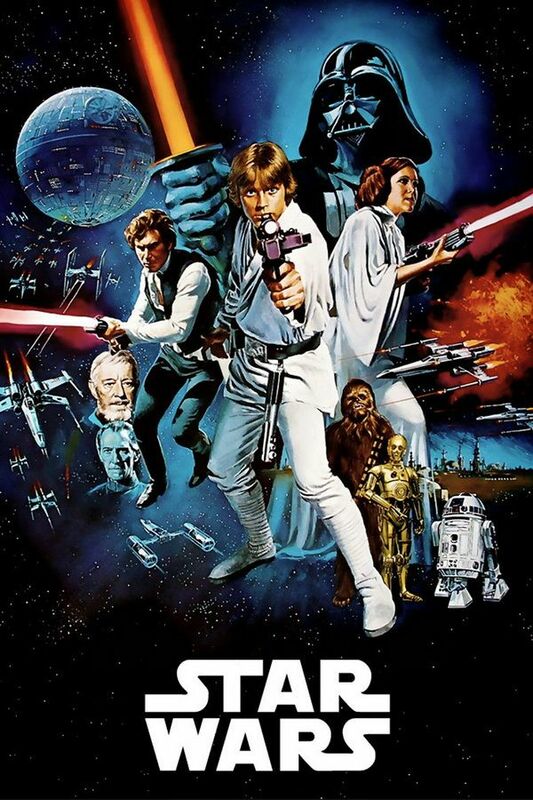 The story began "A Long time ago, in a galaxy far, far away" It all started May 25th 1977. There were many sequels to the movie that would follow. Star Wars would be followed by more than sequels. Books , television series, computer and video games, theme park attractions and lands and comic books would be spawned by the movie. Star Wars was so successful that it was awarded a Guinness World Record title for the "Most successful film merchandising franchise"
Star Wars is a movie that takes place in a distant unnamed fictional galaxy at an undetermined points in the ancient past. Present are many species of aliens along with humanoids that live together. Robotic droids and space travel were present/ The spiritual and mystical element of Star Wars galaxy is known as "the Force" The force is an energy field created by all living things that surrounds us, penetrates us, and binds the galaxy together. Individuals with in the force have been trained through training and meditation to have better reflexes so that they are able to have mind control The force sees two factions at conflict. The Jedi harness the light of force and the Sith use the dark side of the force through hate and aggression. 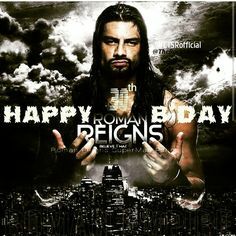 Leati Joseph "Joe" Anoa better known as Roman Reigns was born May 25, 1985. 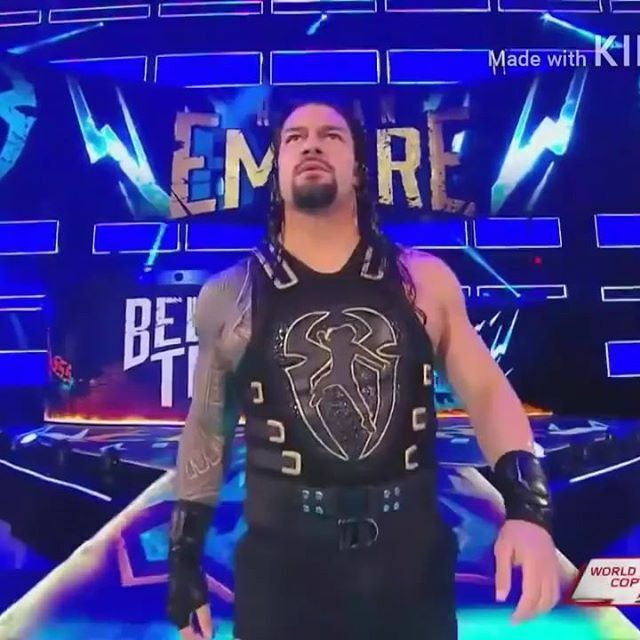 Reigns an American professional wrestler and a former gridiron football player was born more or less to be a wrestler with a strong wrestling family background. Roman played collegiate football for Georgia Tech and had a brief playing season with Minnesota Vikings and Jacksonville Jaguars of the NFL. Reigns also played in the Canadian Football League's in 2008 the same year he retired from football. Roman Reigns was signed by the WWE in 2010. Reigns started in the Florida Championship Wrestling territory , shortly after in 2012 he would debut on WWE alongside Dean Ambrosia and Seth Rollins the group was known as the shield. The shield would wrestle together until 2014 when they would enter singles. competition. Reigns would win the WWE World Heavyweight Championship belt, the United States Champion, the Intercontinental Champion, the WWE tag team championship with Rollins, winner of the 2015 Royal Rumble winner and the 2014 Superstar of the year. 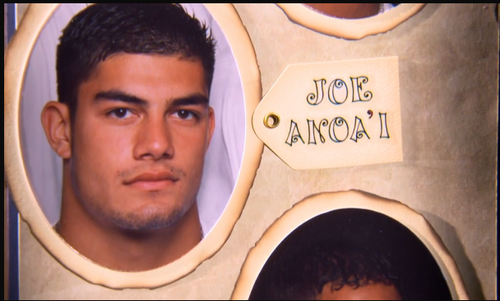 Joe Anoa'l is half Samoan and half Italian. Roman Reigns is the cousin to former professional wrestler Yokozuna, Rikishi, Umaga, The tonga Kid as well as the Usos and the Rock. Anoa'l has a wife and a daughter named Joelle and a set of twin boys in 2016. Life is hard we all have had struggles and sometimes it may seem that we will never get over them. Eventually we do, my son in law calls this the roller coaster effect. I am so lucky to have him and the rest of my family whether in laws, please no out laws, or true blood family we all come together when the need arises no matter what it may be. However, there are some families that struggle and the need of resources is needed. In Illinois one of those resources may be the Baptist Children's Home and Family Services. When families are faced with great challenges or go through difficult times that create turmoil there is hope at the BCHFS. Angels' Cove is often able to help parents and guardians by providing foster care services with the children's best interest in mind. Christian couples are willing to take the responsibility to guide through these difficult times. Temporary foster care placements help families that are in need of respite or other emergency situations. Loving Christian families are licensed to help the kids. These Christian couples will mentor the children in their care. If in home care is not available or the proper fit for the situation there are also homes at the Baptist Children's Home where less restrictive care can take place. The Baptist Children's home offers help to mothers who simply need to "get back on their feet" After issues of emotional physical or financial stress a short term temporary care placement may be needed. Often during this needed placement counseling may be offered as well. Together the program the family may be saved from days of abuse or neglect During these times of need parents maintain all parental rights and voluntary to get help. There are times that a need arises that a child will need care while waiting to be adopted by a loving family. Children with emotional and physical problems may need special care at a foster care home as well. Over one hundred years ago, members of Carmi First Baptist Church were called by God to build a place of where children who were left alone would feel as if they belonged. The buildings were built brick by brick with hard work and perseverance. This Christ centered ministry of compassion started from a field in White County Illinois. Where corn and beans had previously grown was claimed by Gods love. The willing hearts of a few and through faith , sacrifice, and vision created a place of help for generations to come. 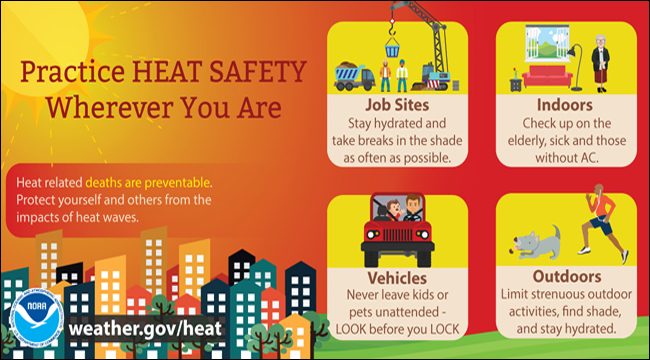 The last Friday of every May is a time to bring awareness to Heat Awareness. This year May 25th is National Heat Awareness Day. Numerous fatalities are due to heat each year. 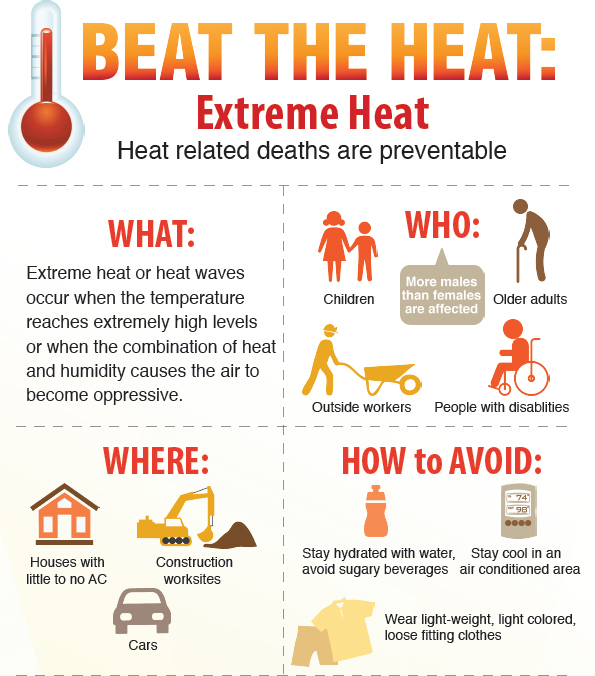 Whether it be heat exhaustion, due to dehydration that is due to hear or some other heat related problem heat is one of the top weather related killers in the United States. Take for example the heat wave in 1980. I may be given my age away a bit but I must say that I can recall the heat in the 1980s. I was a child and yet can remember our parents trying to keep us hydrated using any method possible including the back-yard watering hose. The heat wave that year would result in the loss of 1,250 lives The heat wave in Europe during 2003 resulted in a much larger number of lives lost totaling around 50,000. Never leave a young child, disabled individual or pet locked in a car. NO matter the weather this should never be done. Cars heat up quickly when parked in the sun. Lets admit it, the summers in the U.S. are hot. Sometimes this is not just limited to summer but also may include spring and fall. weather here has been a bit of heat followed up by rain storms. Got into bad storm on Sunday but made it home safe and sound. a few magazines I need to skim through as well as a notebook. I want to get the summer projects under way as soon as possible. currently watching the weather station and how to survive the weather. I love to watch shows like unsolved mysteries etc... when they are updated that is my favorite part and very interesting to me. I also love watching news shows to keep up with what is going on in the world. Tuesday: pizza and another busy night as the boyscouts (yes my grand-daughter is a boy scout) were doing a service project making flower boxes to help raise veggies that will be offered at food pantries. busy re-doing a few old end tables that we rescued from his step-dads home. I see much more that needs to be done. Lets start with just the upcoming job of the bathroom. School will be out in a week or so and summer vacation will soon be here. Summer at our house is filled with lots of day trips and long haul journeys. Trips that include going a wee bit for a picnic and even further for some family fun. If the car is clean and orderly the trip no matter how long will be more enjoyable. Before summer begins (Thursday June 21st) give your car a good cleaning inside and out. Going from the inside out cleaning and organizing the car will help make the summer more enjoyable. Those stray candy bar wrapper, chip packages and crumpled juice boxes all should be tossed. 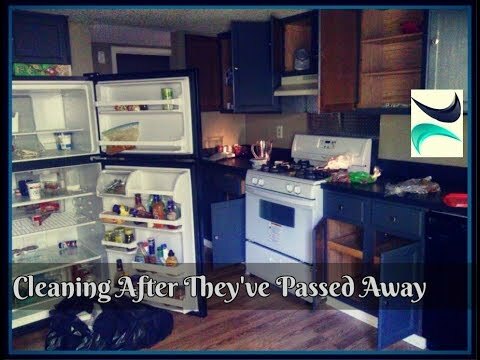 Items lost during the long winter and bags of items that were lost in care for the last few months need to be taken out and put away appropriately. keep the vehicle clean and organized by allowing in only what is needed during the transit. 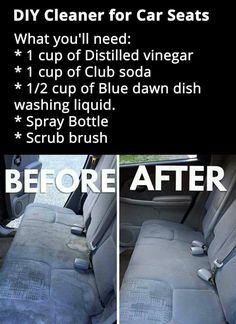 Cleaning the outside of the car will help you feel good as well. Microfibre cloths are best to use on paintwork, windows, and wheels If you use chemicals to clean be sure to read the label and follow usage guides to detect what areas of the car to use it on. 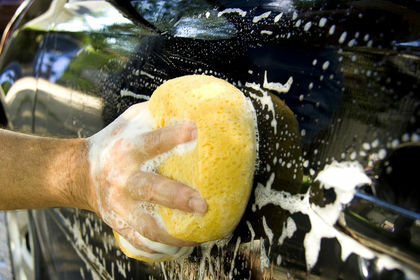 Car scratches can be touched up by using a compound and a special pad. The compound may need to be used several times. Car polish is optional but it will help enhance colour and gloss of paintwork. Polish can be applied by hand or a polisher. Polish should be applied prior to wax treatment. Car windows should look good so that you can easily see out of them. Domestic window cleaner should be avoided. Car window cleaner is a better product to use. Clean in circular motions and wipe down with a clean cloth at least twice to get rid of any residue. Yes, ground beef can be cooked from the frozen state but there are issues. First the hamburger cooks at an uneven rate with the outside cooking faster than the middle and in the end part of the meat is over cooked before the rest of the meat is done. On the other hand, canned ground beef is always ready to use with no waiting time for the meat to thaw out. Simply open the jar of meat and you can start cooking. The canned ground beef is pre-cooked so it saves time in preparing as you simply need to heat it up. The canned ground beef has a longer shelf life than the frozen ground beef as well. There will never be any freezer burn on the hamburger or worry about no freezer room. There are two ways of canning ground beef: (1) small batch and (2) large batch. Browning large batches of ground beef either to use in a recipe or to can be made easier by boiling the meat. We started to boil hamburger a few years ago as our family grew. With 10+ sitting at the table any shortcut when preparing the food is needed. Another great reason to boil instead of fry hamburger is because grease will not splatter all over the stove top. Boiling ground beef removes fat from the meat. When canning meat you will want as little as fat as possible in the jar. A bonus is that the after the ground beef has boiled, strain the broth and set it in the fridge to cool overnight. Skim the fat off the top and season the broth. Now you have some well seasoned beef broth to use. After browning the meat, skimming the broth and fat, it is time to fill the canning jars. 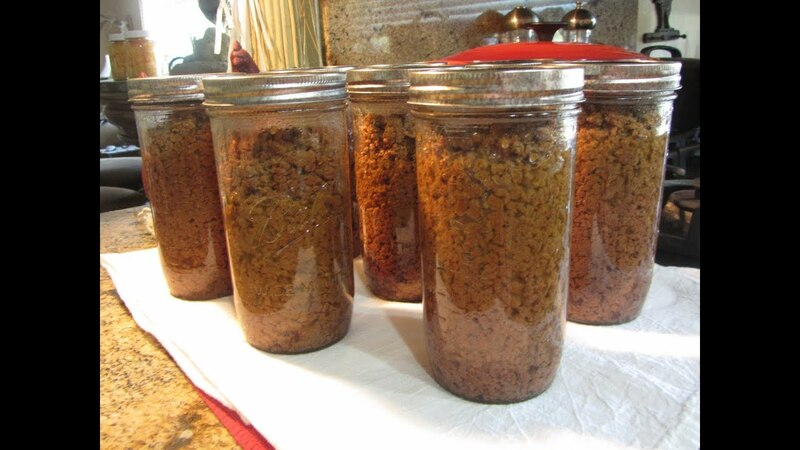 Use a slotted spoon to fill the jars with ground beef. Be sure to leave about an inch of head space. Season each jar with a teaspoon or two of salt. 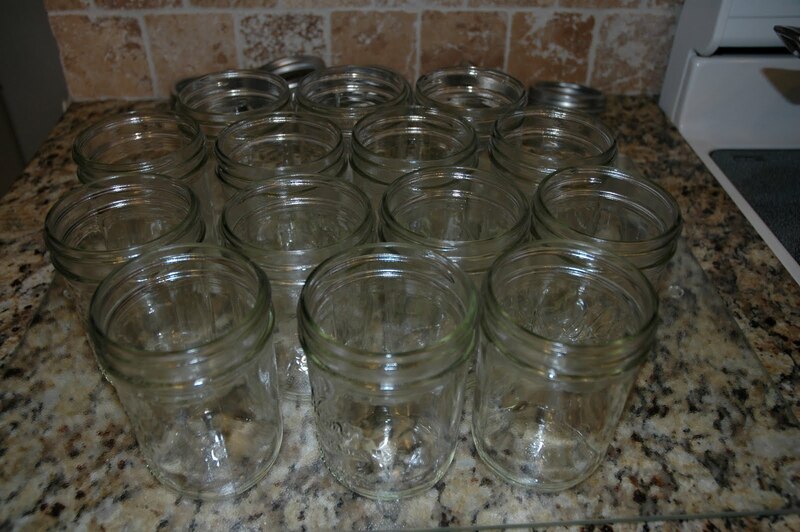 Fill each jar with boiling water, beef broth or tomato juice, still leaving an inch of head space. Try to limit mess and keep it all clean. To help remove air bubbles from the jars of meat run a spatula around the inside edge of the jar. Wipe the rims of the jars clean to remove any grease. A quick way to do this is to use a paper towel with a little vinegar. Place lids and rings on finger tight, make sure to not over tighten so that jars seal properly. 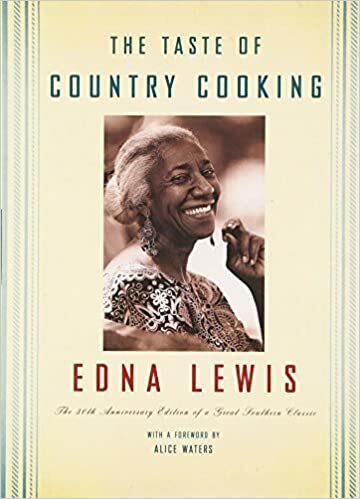 Edna Lewis, a southern cook during the early 1900s. Nicknamed the southern Julia Child Edna wrote a cookbook titled The Tasting of Country Cooking. Edna grew up in Virginia were she lived and loved learning many stories to share later in life as well as recipes to place in her cookbook. Now back to the busy day , which is where we started before I drifted off to introduce the author of the recipe I am sharing today. A busy day cake may also be known as a sweet bread. The cake or bread was made of regular cake batter, measured out and stirred in a hurry so that the vegetables you were cooking for that day cooked on one end of the old wood stove and canning took place at the other end. A large biscuit pan would be the outlet for the batter which would be put inside the oven to bake. The cake is simple in the form given but you can dress it up by cooking it in a bundt pan. Busy day cake was cooked as it states on a busy day when there was not time to ice. 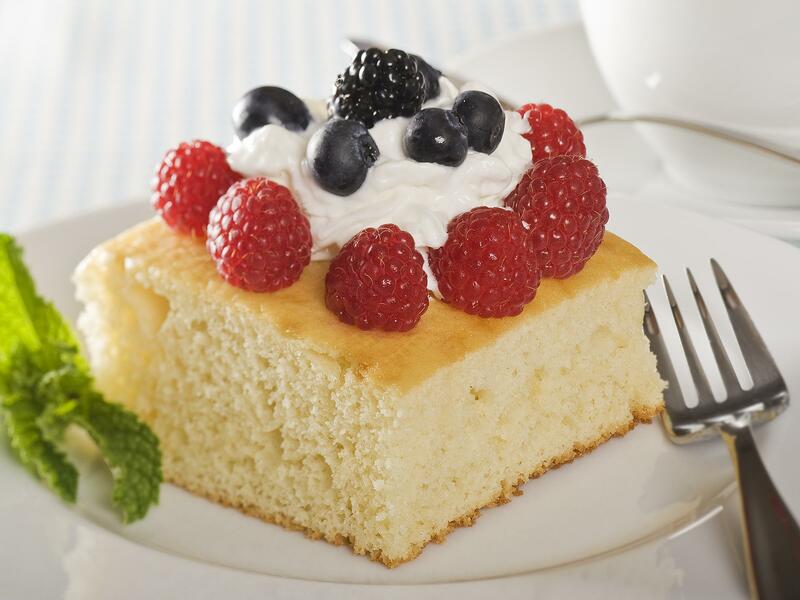 The cake was simply cut into squares and served warm. The cake was often topped with fruit or berries left over from canning. Preheat the oven to 375°F. Spray a 9-inch springform or deep cake pan with nonstick spray or rub it with butter. In a large bowl, beat the butter and sugar until light and fluffy. Add the eggs one at a time, beating well after each. Beat in the vanilla. In a medium bowl, stir together the flour, baking powder, salt, and nutmeg. Add about a quarter of the flour mixture to the butter mixture, and stir by hand or beat on low speed just until blended. Add a third of the milk, mixing just until combined. Continue adding flour and milk, finishing with flour and stirring each time just until blended, scraping down the sides of the bowl with a rubber spatula. Scrape the batter into the pan and smooth the top. Bake for 35-40 minutes, until golden (if it’s browning too quickly, cover loosely with a piece of foil) and springy to the touch. Serve warm, absolutely plain or with fruit. Serves 10. A local restaurant in E-Town Illinois where some of the best catfish can be found. 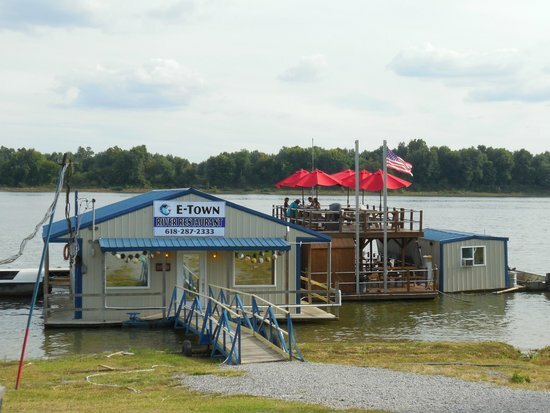 The unique thing is that the entire restaurant is built on water. We visited following my father-in-laws funeral. There were around 30+ in the group and we all were treated well. cleaning out his parents house, not only taxing on emotion but also a big job. First things first, lets start by going back to the early days when I could see many that have passed on. I have missed many for many years. Would be glad to go back to the easier days. To bad there is not a button to slow down time as this is what I want to do most often. I might be tempted to go fast forward but for the most part I do not know if I want to see the future or not. The future is what we make it and there fore , is it truly something we can travel to. We will take time out to visit the graves of many loved ones including our father in law that served 15+ years in the army. I have never been to Arlington but have been there to welcome back soldiers who have visited to Arlington and returned to our local airport after the "honor flight" . Our town will mark the day with a ceremony at the cemetery here in town. Neither me or my husband have loved ones buried here so we will not be attending. 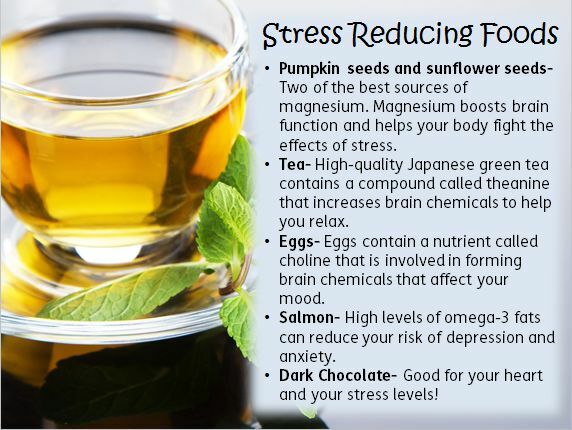 Chamomile, basil, marjoram, sage or mint help ease stress. Make this simple anxiety relieving tea by mixing in 1 oz. fresh herbs or 1/2 oz dried herbs for every 2 to 3 cups of water. Elderberry tea is made from elderberry flowers and helps to relax the nerves and help induce sleep as well. This is not to be drank by anyone that is expecting a child. A tea of bee balm will help to cut insomnia. This tea is used as a mild sedative that helps calm nerves and aids those that struggle with sleep. Step 1 – Bring the water to a boil in a small pot and then reduce heat. Step 2 – Add the rosemary herb to the water and allow it to steep for 5-6 minutes. Step 4 – Add sweetener, if desired. 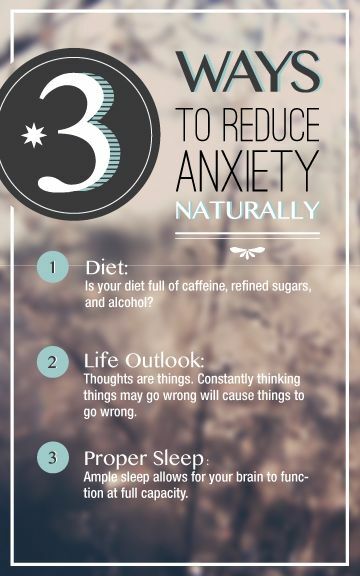 So now that we have a few drinks in mind that may help lets try a bit or two to help relieve anxiety as well. Remember never eat late in the evening and our last meal of the day should always be kept light. Many have a salad with supper and this may help if lettuce is an ingredient in the salad. Eating lettuce with dinner should help with sleep with pleasant dreams. Mandarin oranges are great as a dish in the evening to help with insomnia. Raw onions is a native American resource to help induce sleep. During my childhood, it was nothing to ride my bike around the neighborhood and see clothes drying on the line in many backyards. Today, that is a scene that is not as common as yester-year. 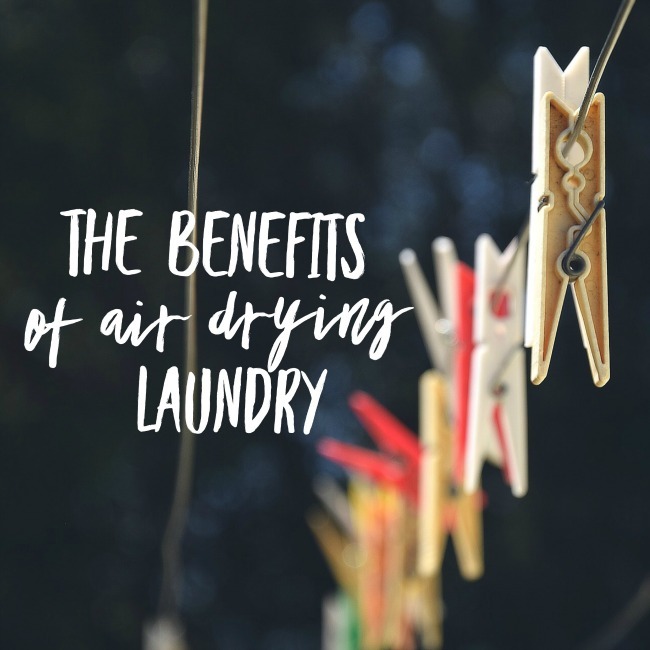 Whether it be an old fashioned outdoor clothesline held up by wooden post, a clothes line constructed using steel post, or whatever there are many benefits of drying your clothes in fresh air. Thinking of saving some money?? Whose not?? Line Drying clothes will help lower the gas or electric bill. Conserving energy by line drying clothes will help to protect the environment. Drying clothes outside can help reduce average carbon footprint of a home. The National Fire Protection Association states that clothes dryers or washing machines can be the cause of house fires. Line drying clothes will help to cut the risk of house fires. Need another great reason to line dry your clothes?? How about the fact that it will get you outside. Get out in nature and get a break away from the indoors can help your mood as well. Along with getting outside the movement involved with hanging laundry on the line will allow you to put a bit of exercise in your day as well. Have you ever noticed that fabric softener sheets have been created with a scent of sunshine or outside?? Hanging clothes on the line naturally gives you the scent of outside. Bell pepper plants can be purchased or you can start them inside via seed. 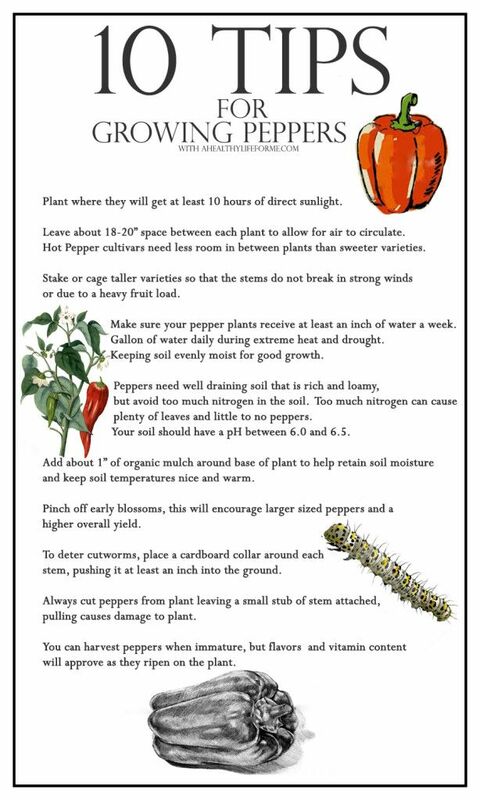 When the danger of frost has passed it is time to plant pepper plants. Plant about 18 to 24 inches apart when the soil outside is around 65 degrees. Any colder and the plants are in danger of not making it. Bell peppers should be planted in an area that has good drainage. They require adequate moisture that can be offered through mulch or plastic covering. 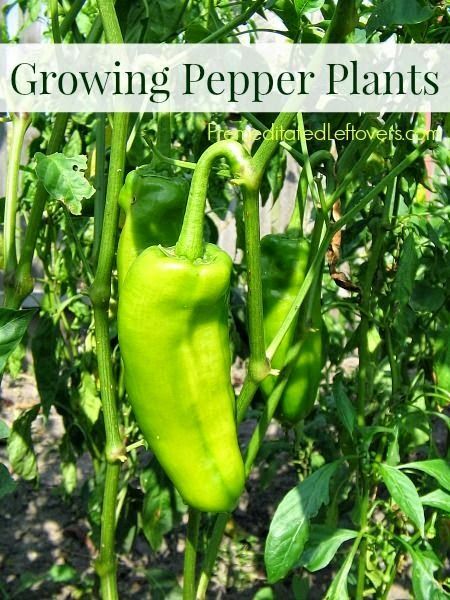 Peppers do not do well in high heat and may require daily watering in cooler areas it may not be as often. Fertilizer should be added to the plant after the first pepper has been spotted. Cages or stakes may be needed to help prevent the pepper plant from bending. Peppers can be harvested as soon as peppers reach desired size. Bell peppers become sweeter the longer they stay on the plant. The use of a knife or scissors may be needed to cut pepper off plant. After harvesting peppers can be kept in refrigerator in plastic bags up to 10 days after harvesting. The Alzheimers society organizes and helps bring awareness to dementia action week. You may recognize this week by a prior week known as dementia week. The reason for the name change was to help bring much needed awareness to the fact that there is much more action that needs to be taken to create a change. Those with dementia as well as those that love someone with dementia want and need. Dementia is a chronic or persistent disorder of the mental processes caused by brain disease or injury and marked by memory disorders, personality changes and impaired reasoning. Ages ago what we now call dementia may have been referred to as madness or old age insanity. Dementia may also be given to a decline in mental ability severe enough to interfere with daily life. Those who suffer with Alzheimer know dementia well as it is the most common form of dementia. Dementia is not a specific disease rather it is an overall term that describes a group of symptoms associated with a decline in memory or thinking skills severe enough to reduce a person's ability to perform everyday activities. Dementia can start by forgetting names of people close to them, this is not part of normal aging. Older folks may forget names of people they rarely see but those with dementia will forget names of those that they love and are in their daily life. Many with dementia will struggle in conversation as they often repeat phrases or stories in the same conversation again not simply normal aging. Those that suffer with dementia often suffer from unpredictable mood changes, not simply mood changes that are appropriate to certain changes. 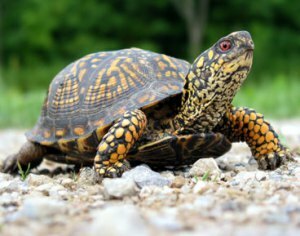 The turtle, smart enough to stay inside away from danger, slow enough to be cautious about his movements and whenever he sticks his neck out he can make great strides of progress. That is sort of how humans are as well. We often feel safe inside of where we call home and want to keep it the way things are. After all, if things stay the way they are then no trouble, issue or drama can occur correct?? The same thing that we believe keeps our day to day safe is also not the thing that is not allowing us to enjoy life to the fullest. As a middle age adult I recall my youthful days , the days where I took plenty of risk, some paying off and some not so well. So we look at our youth days and decide that we truly have no room to make for change at the present time. Many others will also recommend that we " enjoy life" "take limited risks" "play it safe" as well as "be conservative" The type of life that I speak of will help us be "safe" but not allow us to get the true reward or adventure out taking risks that could help our wildest dreams come true. A risk free life is a risk all on its own. A chance to be shortsighted and not to live up to our full potential. Life is full of risks and to avoid them would be just that , avoiding life. A life without risk is boring, unproductive and one that I would rather not live. Several years ago I was a teacher, a leader and an individual who met risk head on. Since that time I have hidden my head and left it all behind. Perhaps it is time to take the risks of life again. Following our Lord should not be considered a "risk" Taking our eyes off the task the Lord has given us is much larger risk. Taking that step of faith is often hard to do but must be completed. It is simply doing the right thing. The other day at church I was offered the chance to help with Vacation Bible School, what would the risk be?? Would I allow work to hold me back from teaching children the stories of the bible?? Perhaps, it is time to take that bold step of faith. God has a calling for each of us and I believe that I have been called to help others. What is the risk you are being called to take?? 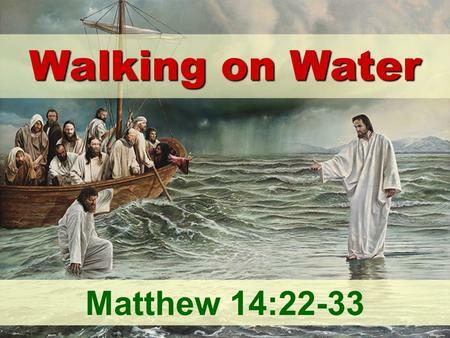 Has God been talking to you to take that first step of faith. God has a plan for each of us, this I trust. Don't be that turtle that hides his head and escapes from the risk. Like the turtle life will need you to stick your head out. Is Jesus calling you to stick your head out?? The bible is full of risk takers , there are a few losers along the way as well. If you decide to take that risk, and lose your ways cry out to Jesus he is always there to help you. Harvey Milk was a gay activist who was also elected to public office in California. He was famous fo quotes of hope. 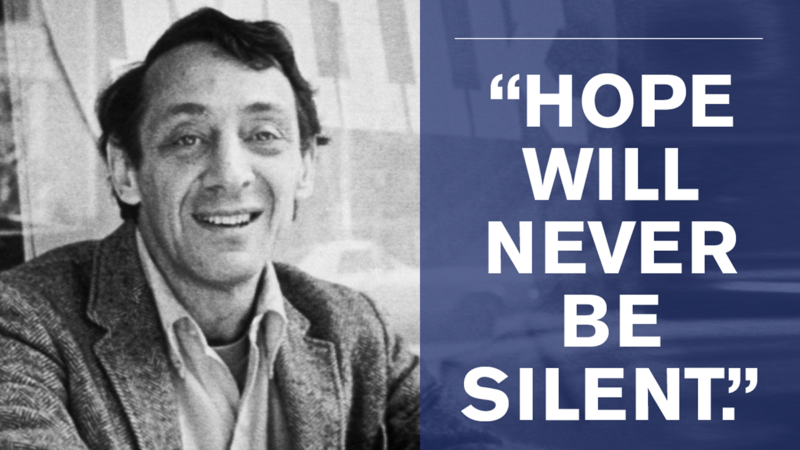 Harvey Milk was clearly an early leader of the LGBT movement. Milk would be assassinated on November 28, 1978. Harvey Milk envisioned a place where all people, regardless of sexual orientation or gender I.D. were treated equally. Milk is a hero to the LGBT community as his life lives on through the dreams he once held. Preheat oven to 400F/205C and spray or line muffin cups. For the muffins, combine all the dry ingredients in a large bowl and whisk together. Using a hand mixer or the paddle attachment on stand mixer, lightly beat in the chunked up cream cheese until mixed in and lumpy. In a small bowl, mix together the remaining wet ingredients, and add to the dry ingredients. Mix until just combined. Allow to stay lumpy. Stir in the strawberries. In a separate bowl, for the struesel, combine all ingredients using a fork. Spoon the muffin batter into muffin cups, about 1/2 - 2/3 full. Top each battered cup with a spoon full of streusel topping, and bake 15-18 minutes, until golden and skewer comes out clean. Eat within a couple days. May 21, 1881 Clara Barton with the help of close friends found the American Red Cross. The event took place in Washington D.C. The movement took place after Barton returned home from a visit from Europe. The Swiss inspired global Red Cross was the spark behind what would become The American Red Cross. Clara Barton is considered one of the all time bravest women. Barton would risk her life to bring supplies and support to soldiers who were directly involved in battled during the Civil War. At the age of 60 Barton would begin the American Red Cross and led it for 23 years. Clarissa "Clara" Barton was born on Christmas day 1821. She was a pioneering nurse who worked in the hospital during the American Civil War. She would pass at age of 91. Today, the Red Cross is still very involved in helping those in need. From helping find shelter, food, health and mental health care. The Red Cross is there to help any family or community that may need it. The Red Cross is not a government agency but it is an essential part of the response when disaster strikes. I recall, one summer manning the 4-H dinner at the fair with my 4-H group. Let me tell you being a waitress is a lot harder than you may think. Not only providing service, but keeping them happy as well through doing your job well and a bit of conversation never hurts either. Today for all those waiters and waitresses that work hard doing their job today, May 21st is for them. National Waiters and waitress day values the importance of good waiter or waitress. They are the ones that the customers see most and it is their job to represent the restaurant. The waiter or waitress are easily recognized and are often the first individuals working at the restaurant that the customer sees. One way to thank our waiters and waitresses is to leave them a tip. The tip should be according to the quality of the service they offered. With all the great summer activities going on you will quite often note me taking a memo. My thoughts are not as they were even a few years ago and the activity that surrounds my world leaves me needing to make several notes. So glad that I am not alone as today is National Memo Day. May 21st of each year celebrates National Memo Day. A Memo may be one of the most important pieces of communication as it is a not that is often jotted down to help us remember something important. While memo notes are used often at the workplace, I find them quite handy at the house as well. A memo is a note that reminds us of something important. A memo can be digital, written on a sheet or paper or electronic. National Memo Day is one of the odd days where no one quite knows who created the day. 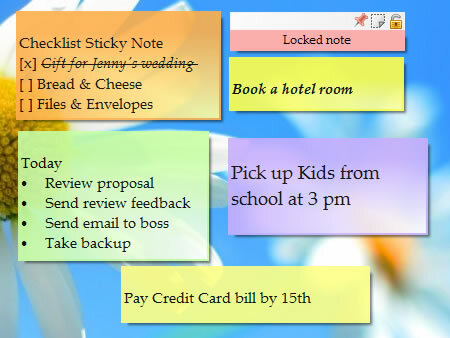 We do know what that the day is to help celebrate those little notes that help us solve various obstacles, issues and concerns Whether it is writing down an important note, a date, address or maybe even a telephone number, directions to a location, what is needed at the store, a to do list, memos are important tools. 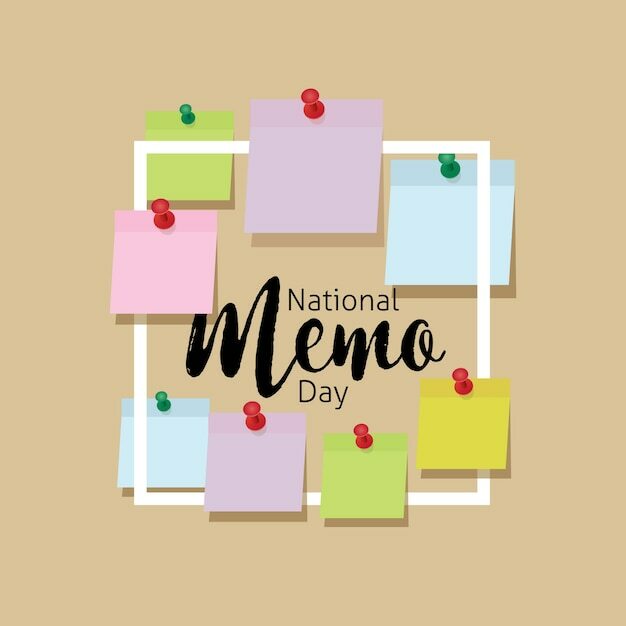 Celebrate memo day by practicing your "memo-ship" Write, send or read memos. Memo-day would be a great time to remind our selves and others of topics of importance that we should not forget.